Metabolic Health Clinic has served the local community for over 25 years, a family owned business dedicated to the service and care of our valued clients. Non-Invasive procedures for both face and body. 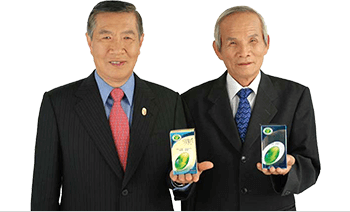 Cryptomonadales® (Chlorella sorokiniana) or (Crypto) is the latest and most important species of unicellular freshwater algae only discovered in the 1990’s by Dr. Shun-Te Wang, founder of International Cryptomonadales Biotechnology Co., Ltd (ICBC) Taiwan. Cryptomonadales® is highly heat endurable compared to other chlorophyta. It survives at temperatures over 38ºc, therefore it is a thermophilic strain of algae suitable for cultivating in Taiwan. Its soft cell wall also makes it the most digestible, preserving its nutrition at over 95% absorption making it the ideal, perfect health superfood. Cryptomonadales® is the strain of W 87-10 (CRYPTO) which makes it distinct from all other strains of algae and it carries the highest level of chlorophyll of all other plants, 20 times more than wheatgrass, barley grass and alfalfa and 10 times more than spirulina. Therefore, Crypto yields proportionally a much higher amount of carbohydrates from photosynthesis than any other plants do. Cryptomonadales® absorbs nutrition in the water to grow and when the cells become mature each of them will divide into four daughter cells in just 18-20 hours, each cell identical carrying the same amount of chlorophyll as the mother cell carries. This growth rate and cell division that Cryptomonadales® carries cannot be found in any other organism. 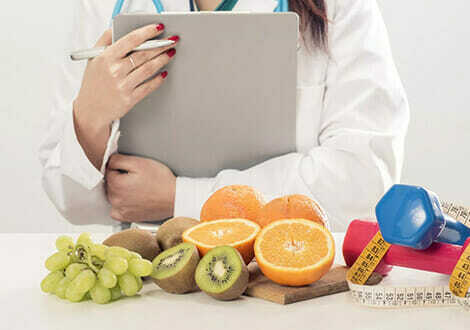 The reason Crypto can propagate such a unique process is that it has the Crypto extract in the chlorophyll which is beneficially good for human health. Cryptomonadales® is also the only algae and one of only three foods in the world that contain all three peroxisome profilerator activator receptors (PPARs) agonists isoforms (alpha, delta, gamma), which are regarded as the most important biochemical components for body homeostasis and now considered to be of the most important bio medical discovery in the 21st century. 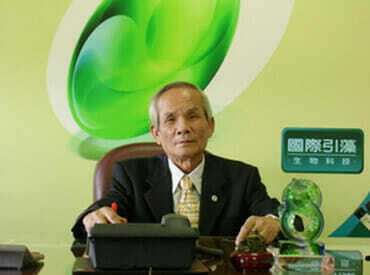 Prof. Dr Shung-Te Wang, the founder of International Cryptomonadales Biotechnology Co., Ltd (ICBC), Taiwan has spent more than 45 years of experience and research studying every species of algae on our planet before discovering the latest new strain of algae species W87-10 (Chlorella Sorokiniana), now known commercially throughout the world as Cryptomonadales®. Prof. Wang has devoted his life to researching algae and has gone through numerous hardships and effort in order to nurture and grow the most purified and precious species of freshwater algae in the world, Cryptomonadales®. 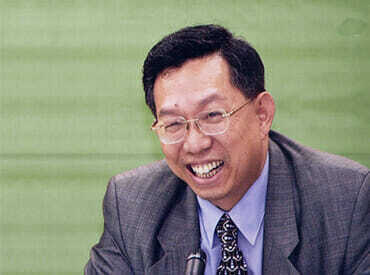 Since his discovery of this rare and unique species in 1995 he has also encouraged and invested heavily into the development of commercial quantities of Cryptomonadales®, together with an investment of all profits back into medical research and the most sophisticated methods of manufacture under the direction of the most prestigious medical research institutions in Taiwan to obtain the first “Health Food” certification licensed to Cryptomonadales® by the Minister of Health, Taiwan, Biomedical Safety and Toxicity tests approved. This license was issued in 2005 License No Health Food No. 0066, the first one amongst all species of algae. Prof. Dr. Shun-Te Wang, the founder of International Cryptomonadales® Biotechnology Co., Ltd (ICBC), Taiwan who has more than 30 years experience in researching algae first discovered a new species W87-10 (Chlorella Sorokiniana) now known as Cryptomonadales®. Since Prof. Wang’s discovery of this rare and unique species in 1995, and from 1998 onwards important biomedical research has been conducted and published revealing how Cryptomonadales® algae food can improve human health. Late Prof. Ih-Jen Su, MD, PHD, Distinguished Investigator, Vice Chancellor National, Cheng Kung University Medical School, Taiwan, Head of National Research Institute, Taiwan, published a paper in 1998 on the induction of cell differentiation and apotheosis by Cryptomonadales® extract in human haematopoietic stem cells and epithelial cancer cell lines. NCKU Research and Development Foundation’s scientific papers published by Late Prof. Ih-Jen Su in 1999 confirmed the effects of Cryptomonadales® on human health research on toxicity and blood lipid regulation and a further paper in 2001 confirmed the potential effects of Cryptomonadales® and the food extract on Hyperlipidaemia and Cancer Chemoprevention. In 2010 Prof. Su published a paper showing the efficacy of Cryptomonadales Algae Extract Containing PPAR Agonists in the Growth Inhibition of Hepatocellular Carcinoma in SCID mice. Click Here to access the research! The latest scientific paper published in October 2012 in Evidence Based Complimentary & Alternative Medicine, Article ID 735396 by Nien-Tzu Chou, Biomedical Technology and Device Research Laboratories, Industrial Technology Research Institute, Hsinchu, Taiwan confirms that Chlorella Sorokiniana (CS) W-87 Crypto species extracts could activate naïve T cells and stimulate T cells proliferation and IFN gamma secretion. This study provides molecular mechanisms of CS-induced Dcs activation and immune-response. Click Here to access the research! With experiences of more than thirty years in algae researches has gone through numerous hardships and efforts since 1990 in order to nurture the most purified and the most precious Cryptomonadales.